The season is moving along. 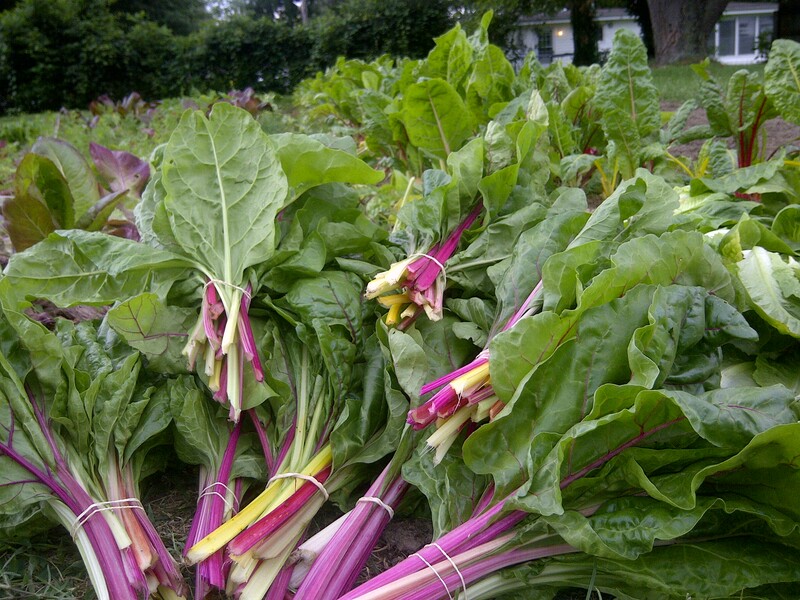 Cool weather crops are phasing out, and early summer crops are coming in. With the cool temps, true summer crops like squash and cucumbers are lagging behind. Our first plantings of squash and cucumbers had quite a tough time, and may not come through at all. But, we’ve got you covered in the meantime with kohlrabi, broccoli, and the beets will be making their debut very soon. Kohlrabi- the large white bulb-like vegetable with big hearty green leaves. Kohlrabi can be treated much like a cabbage. It’s great raw by itself, peeled and sliced or diced with a dash of salt or tossed into a salad for a nice crunch. You can also matchstick the head, and make it into a slaw with apples. ***Week B members: For the remainder of the season, when three asterisks are next to a crop, in the share list at left, this means that crop is coming through in small quantities and will be rotated through shares as it comes available. We track who gets what and how much every week to keep things even. By our use of the asterisks, you won’t have to read this each week it takes place, you can just relax and know your turn is coming through. It turns out we got some bindweed seed in some of our mulching materials last year, and now it is making a strong presence in nearly every bed, choking the crops that are trying to make your food. Bindweed is one of agriculture’s most problematic weeds because it is perennial, grows quickly, covers ground and climbs, roots several feet into the ground, can even spread beneath thick mulch, and forms new roots and shoots every time it is broken. Tough years of strategic management lie ahead…. Even 30 minutes of help with trying to get a section of the field under control would be greatly appreciated, even on a weekend. Plus, we love when our members drop by and get a closer look of the farm. Spicy mix: comprised of arugula, baby boc choi, kale, kohlrabi, purple mustards and mizuna, this is a new one for the year. Try a few to make that salad flavor and color pop. Try a few leaves, if the spice is a little much for you, wilt them in a warm dish of rice or cook them down a bit in just about anything. From Gabriel and one of our members, Jack Olson. Some of our members have requested a dressing recipe for all of the greens. So, we’re offering a standard that can be made using ingredients you likely have at home. This is a staple of the Farm Lunch table. It is healthy, and can be tailored for any. On cool days, a stronger, warm flavor may be desired. On the coming hot days of summer, a little sweetness may be in order, and achieved with a bit of honey or agave nectar. We encourage experimenting with the ratios of ingredients to find a taste you most enjoy. Randy offered a great base for vinaigrettes in the week one newsletter, so you can refer to that for a guide in addition to the following. Pour all ingredients into a lidded jar and give it a shake. Keep it in the fridge. Kale kale kale! What a great crop! It is mostly a cool season vegetable, but a dependable one, lasting for up to a year. We plant ours in a spot that gets afternoon shade, keeping it both tender and productive all summer long, as long as the Bermuda grass doesn’t take it over. Jack Olson sent this recipe to us last week, and we think it’s a great way to use the kale in a whole new way. Kale chips have converted many a non-green-eater, to green food lovers. It happened to me when I entered the farm world a few years ago. The seasonings can be done in so many ways, from garlic and salt, to a smoky, cheesy-like covering made of cashews and chipotle. One of our practicum students, Deidre, treats us to kale chips that way using her dehydrator. cayenne pepper (if you’re not a spice fan, maybe substitute garlic salt, or use sea salt only). -bake at 375 for about 15 minutes, watch closely. I’ve had experiences where the kale was ready in about 5 minutes, it will vary depending on your oven and how much oil you’ve used. In a bowl whisk the cream until it holds soft peaks and whisk in the lemon juice, the mustard, the parsley, the sugar, and salt and pepper to taste. Stir in the kohlrabi strips and the apple, peeled, cored, and diced, and combine the salad well.